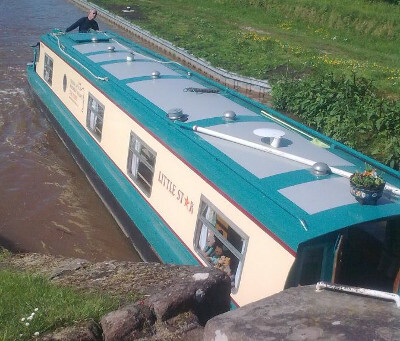 CHESHIRE Cat Narrowboat Holidays have a guest from Canada embarking on a five months boating adventure. Maggie is heading first for Chester, then to Birmingham, Bath and London. She has been planning this trip for about two years, and we got in touch with her after seeing her request on facebook for a long term hire. She has a number of friends and relatives joining her for various parts of the journey, and reckons she will have about two weeks of single handing, telling 'its a once in a lifetime adventure, you have to do these things while you can'." So if anyone sees Maggie and Little Star along the cut, please give them a wave. The photograph shows Little Star steered by a former hirer.